Fred Owens, age 71, passed away peacefully on Thursday, January 24, 2019 in Fresno, Ca. Fred was born on June 11, 1947 to Bulan and Geneva Owens in El Reno, Oklahoma. 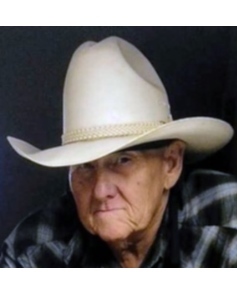 Although Fred was a native of Oklahoma, he was a resident of Chowchilla for the last 30 years where he worked as a truck driver for Ruben Blech Almond Packers in Chowchilla. Fred had a true passion for truck driving. Fred is preceded in death by his parents Bulan and Geneva Owens and his son Jesse Lee Tesnear. Fred is survived by his loving wife of over 32 years Socorro Owens of Chowchilla, and his five children Douglas Owens of Madera, Richard Owens of Sacramento, Duane Tesnear, Alvin Tesnear and Nellie Raper all of Chowchilla. Fred also leaves behind his sister Faye Tesnear of Fresno, his niece Robin Tesnear of Clovis, his nine grandchildren, and 11 great-grandchildren. Visitation will be held on Saturday, February 2, 2019 from 8:00 AM to 9:00 AM at Jay Chapel in Madera. Funeral Services will be held on Saturday, February 2, 2019 from 9:00 AM to 10:00 AM at Jay Chapel in Madera. Internment immediately following at Arbor Vitae Cemetery in Madera.